In Europe summer is in full bloom. And where do you think most people spend their holidays or weekends at this season of the year? On the beach, of course. Sea, lake, river or even pond – the size of the reservoir is not important. Only sun, water and sand matters. 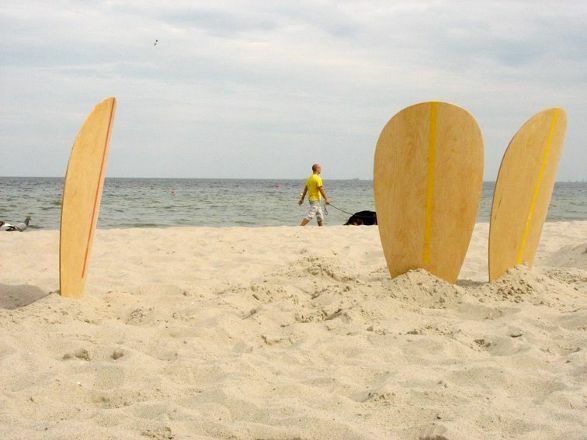 If you are one of the thousands of beach lovers you may like this smart patented beach product designed by Knockoutdesign. 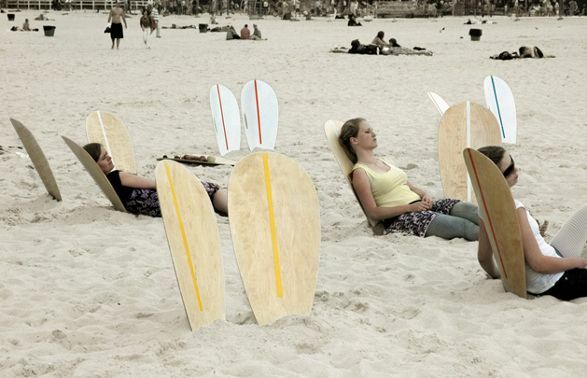 Arenasiento is a back rest sticked into the sand, which uses sand as an integral part of the seat. 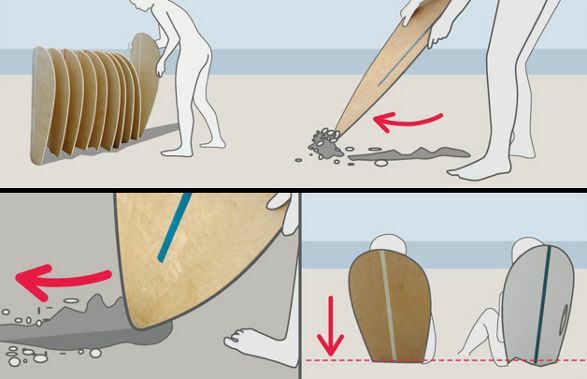 Its name comes from Spanish arena=sand, siento=feel and asiento=seat, and it perfectly defines the concept of this “seat”. Arenasiento maximizes contact with the natural environment of the beach, not interfering with beach's typical landscape. Back rest is mobile, easy to carry and enables user to fit individually the angle of depression. 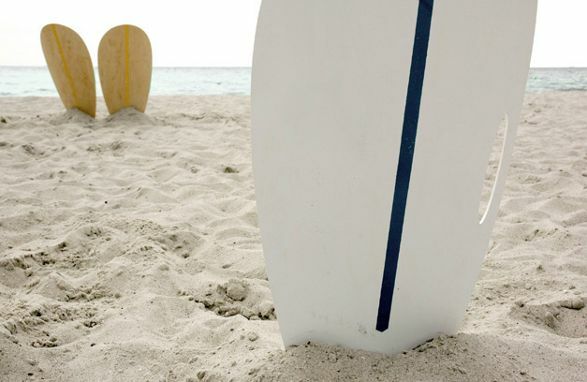 The printed strip marks the line to which the board should buried in sand. 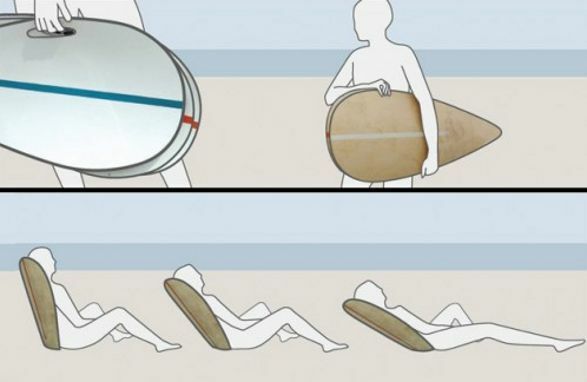 There are two versions of Arenasiento: one made out of glossed waterproof plywood and second one out of plastics with a handle to ease the carrying. Torch-skipping-rope LolliLED by Marta Niemywska and other eco friendly gadgets Unusual green sofa - Blow Sofa by Malafor. Choose your sofa for indoor or outdoor use.